Abstract: The food we consumes provide nourishment and gives energy to our body, it gives us the ability to do daily activities and help improves our health in direct as well as indirect ways. A healthy and fresh diet is the most important way to keep ourselves fit. The food items kept at room temperature undergo rapid bacterial growth and chemical changes in food. Taking unhealthy food leads to bad health, and can cause different food borne diseases. The purpose to use biosensor and electrical sensors is to determine the freshness of food. A smart system which can detect the freshness of household food like dairy items, meat, and fruits. The identification and selection of pH sensor, Moisture sensor, and Gas sensor to develop a smart food freshness detector ensures the freshness of food and tells whether to eat it or bin it. An android application is developed to select the type of food to be checked. "Norovirus food poisoning", Foodborneillness.com,2018.[Online]. Available: http://www.foodborneillness.com/norovirus_food_poisoning/. [Accessed: 28- Jun- 2018]. "http://time.com", Time, 2018. [Online]. Available: http://time.com/3768003/351000-people-die-of-food-poisoning-globally-every-year/. [Accessed: 28- Jun- 2018]. US, "FOODsniffer", com, 2018. [Online]. Available: http://www.myfoodsniffer.com. [Accessed: 25- Jun- 2018]. “Importance of pH”,2018. [Online]. Available: http://www.sperdirect.com/public/the-importance-of-ph-in-foodquality-and-production/. [Accessed: 24- Jun- 2018]. Helmenstine, “What Is the pH of Milk?,”ThoughtCo.[Online].Available:https://www.thoughtco.com/what-is-the-ph-of-milk-603652. [Accessed: 28-Jun-2018]. "Water in Meat and Poultry", usda.gov, 2018. [Online].Available:https://www.fsis.usda.gov/wps/portal/fsis/topics/food-safety-education/get-answers/food-safety-fact-sheets/meat-preparation/water-in-meat-and-poultry/ct_index. [Accessed: 24- Jun- 2018]. Dudley, R. (2004). Ethanol, fruit ripening, and the historical origins of human alcoholism in primate frugivory. Integrative and comparative biology, 44(4), 315-323. Campbell, “Is Yogurt Alkaline or Acidic?,” LIVESTRONG.COM, 03-Oct-2017. [Online].Available: https://www.livestrong.com/article/483061-is-yogurt-alkaline-or-acidic/. [Accessed: 28-Jun-2018]. Logistic odds were assigned to each individual coefficient in order to give the model a simpler meaning; the odds generated were as shown below. Keywords: Labour, Labour Management Model, Labour Productivity, Production Efficiency. 3. Allmon, E., Haas, C.T., Borcherding, J.D., Allmon, E. and Goodrum, P.M. (2000), “US construction labor productivity trends, 1970-1998”,Journal of Construction Engineering and Management, Vol. 126 No. 2, pp. 97-104. 4. ARCOM (2013), “ARCOM abstracts”, Association of Researchers in Construction Management, available at: www.arcom.ac.uk/abstracts.php (accessed 15 March 2013). 5. Barg, J., Rurparathna, R., Mendis, D., AND Hewage, K. (2014). "Motivating Workers in Construction." Journal of Construction Engineering, 10.1155/2014/703084, 1-11.Online publication date: 1-Jan-2014. 6. Bernstein, H.M. (2003), “Measuring productivity: an industry challenge”, Civil Engineering,Vol. 73 No. 12, pp. 46-53. 7. Borcherding, J.D., and Alarcon, L.F. (1991). "Quantitative effects on construction productivity." The Construction Lawyer, 11(1), 1, 36-48. 8. Bryman,H. (2012). “Social research methods 4th edition”. New York: Oxford University Press Inc.
11. Chan, E. and Raymond, Y. (2003), “Cultural considerations in international construction contracts”, Journal of Construction Engineering and Management, Vol. 129 No. 4, pp. 375-381. 12. Chang, C. and Yoo, W. (2013). "A Case Study on Productivity Analysis and Methods Improvement for Masonry Work." Journal of the Korea Institute of Building Construction, 10.5345/JKIBC.2013.13.4.372, 372-381. Online publication date: 20-Aug-2013. 13. Chia, F.C., Skitmore, M., Runeson, G. and Bridge, A. (2012), “An analysis of construction productivity in Malaysia”, Construction Management and Economics, Vol. 30 No. 12, pp. 1055-1069. 14. Dai, J., Goodrum, P.M. and Maloney, W.F. (2009), “Construction craft workers’ perceptions of the factors affecting their productivity”, Journal of Construction Engineering and Management, Vol. 135 No. 3, pp. 217-26. 15. Dissanayake, M., Fayek, R.A., Russell, A.D. and Pedrycz, W. (2005), “A hybrid neural network for predicting construction labour productivity”, Proceeding of ASCE International Conference on Computing in Civil Engineering, 12-15 July, Cancun, Mexico. 16. Dozzi, S.P. and AbouRizk, S. (1993), “Productivity in construction”, Institute for Research in Construction, National Research Council, Ottawa, ON. 17. Draper, N.R., and Smith, H. (1981). Applied Regression Analysis. John Wiley & Sons, New York, N.Y.
18. Elazouni, A.M., Ali, A.E. and Abdel-Razek, R.H. (2005), “Estimating the acceptability of new formwork systems using neural networks”, Journal of Construction Engineering and Management, Vol. 131 No. 1, pp. 33-41. 19. El-Gohary, K. and Aziz, R. (2013). "Factors Influencing Construction Labor Productivity in Egypt." Journal of Management in Engineering,10.1061/(ASCE)ME.1943-5479.0000168, 1-9. Online publication date: 1-Jan-2014. 21. Enshassi, A., Mohammed, S. and Abu Mosa, J. (2008), “Risk management in building projects: contractors’ perspective”, Emirates Journal for Engineering Research, Vol. 13 No. 1, pp. 29-44. 23. Goodrum, P. and Haas, C. (2002), “Partial factor productivity and equipment technology change at activity level in US construction industry”, Journal of Construction Engineering and Management, Vol. 128 No. 6, pp. 463-472. 24. Goodrum, P.M. and Haas, C.T. (2002), “Partial factor productivity and equipment technology change at activity level in US construction industry”, Journal of Construction Engineering and Management, Vol. 128 No. 6, pp. 463-72. 25. Han, S.H., Park, S.H., Jin, E.J., Kim, H. and Seong, Y.K. (2008), “Critical issues and possible solutions for motivating foreign construction workers”, Journal of Management in Engineering, Vol. 24 No. 4, pp. 217-26. 26. Hanna, A., Chang, C., Sullivan, K. and Lackney, J. (2008), “Impact of shift work on labor productivity for labor intensive contractor”, Journal of Construction Engineering and Management, Vol. 134 No. 3, pp. 197-204. 28. Hanna, A.S., Taylor, C.S. and Sullivan, K.T. (2005), “Impact of extended overtime on construction labor productivity”, Journal of Construction Engineering and Management, Vol. 131 No. 6,pp. 734-9. 30. Horner, R.M.W. and Duff, A.R. (2001), More for less – a Contractor’s Guide to Improving Productivity in Construction, CIRIA, London. 31. Kaming, P., Olomolaiye, P., Holt, G. and Harris, F.C. (1997), “Factors influencing construction time and cost overruns on high-rise projects in Indonesia”, Journal of Construction Management and Economics , Vol. 15 No. 1, pp. 83-94. 32. Kim, S. and Kim, Y. (2001), “A study on the construction labor productivity model using neuro-fuzzy network”, Conference of the Architectural Institute of Korea, Ansan, Korea, Vol. 21 1 pp. 493-6. 35. Li, Y. and Liu, C. (2010), “Malmquist indices of total factor productivity changes in the Australian construction industry”, Construction Management and Economics, Vol. 28 No. 9, pp. 933-945. 36. Lo, T., Fung, I. and Tung, K. (2006), “Construction delay in Hong Kong civil engineering projects”, Journal of Construction Engineering and Management, Vol. 132 No. 6, pp. 636-49. 37. Loosemore, M. (2014), “Improving construction productivity: a subcontractor’s perspective”, Engineering, Construction and Architectural Management, Vol. 21 No. 3, pp. 245-260. 39. Lu, M., AbouRizk, S.M. and Hermann, U.H. (2000), “Estimating labor productivity using probability inference neural network”, Journal of Computing in Civil Engineering, Vol. 14 No. 4, pp. 241-8. 41. Mugenda, O. M. & Mugenda, A. G. (1999). Research Methods: Qualitative and Quantitative Approach. Nairobi-Kenya: ARTS Press. 43. Oglesby, Clarkson, Henry Parker, and Gregory Howell. 1989. Productivity improvement in construction. New York: McGraw-Hill. 47. Seeley, L.H. (1995), Building Economics, Macmillan, London. 50. Thomas, H R. and Ahmet S. Sakaran. 1994. Forecasting labor productivity using factor model. Journal of construction Engineering and management. 51. Thomas, H. and Yiakoumis, I. (1987), “Factor model of construction productivity”, Journal of Construction Engineering and Management, Vol. 113 No. 4, pp. 623-639. 54. Yu, J. and Lee, H. (2002), “Productivity management system for construction projects”, Journal of the Architectural Institute of Korea, Vol. 18 No. 7, pp. 103-13. 55. Zayed, T.M. and Halpin, D.W. (2005), “Productivity and cost regression models for pile construction”, Journal of Construction Engineering and Management, Vol. 131 No. 7,pp. 779-89. Abstract: The current navigation system used in ships are still manual for various operations like data acquisition and processing. An autonomous navigator must be installed on the ship when the requirement is to maneuver the ship without any assistance. Such navigators accepts the data from different sensors to gauge the locations of obstacles present in water. Our work aims at developing a prototype model of the ship that is capable of autonomously sailing and navigating its own way through the obstacles present around it. The operation of the ship involves data acquisition and decision making in real time. The operation of the ship is also simulated in MATLAB using Fuzzy Logic. The electronic system designed for the ship has excellent scalability and can be used for the larger ships as well with modifications. The final system consists of both hardware and software making the ship completely autonomous. Keywords: Autonomous Navigator, Data Acquisition, Fuzzy Logic, MATLAB, Prototype, Scalability. Shashank Garg, Rohit Kumar Singh, Rajiv Kapoor, “AUTONOMOUS SHIP NAVIGATION SYSTEM,” Texas Instruments India Educators' Conference, DOI 10.1109/TIIEC.2013.60, 300 – 305. Sang-Min Lee, Kyung-Yub Kwon, and Joongseon Joh, “A Fuzzy Logic for Autonomous Navigation of Marine Vehicles Satisfying COLREG Guidelines,” International Journal of Control, Automation, and Systems Vol.2, No. 2, June 2004. P. Perera • J. P. Carvalho • C. Guedes Soares, “Fuzzy logic based decision making system for collision avoidance of ocean navigation under critical collision conditions,” pp 16:84–99, 2011. Qiuhong LU , Shaoyuan LI , GuozhengYAN, “A Positioning and Navigation Algorithm of Autonomous Mobile Robot,” 2011. Zeng X, Ito M, Shimizu E, “Building an automatic control system of manoeuvring ship in collision situation with genetic algorithms,” Proceedings of the 2001 American control conference, Arlington, VA, USA, pp 2852–2853, 2001. AlYahmedi, A. S., El-Tahir, E., Pervez, T., “Behavior based control of a robotic based navigation aid for the blind,” Control & Applications Conference, July 13-July 15, 2009. Cox, I. J., “Blanche — An Experiment in Guidance and Navigation of an Autonomous Robot Vehicle,” IEEE Transactions on Robotics and Automation, vol. 7, no. 2, April, pp. 193-204, 1991. Perera LP, Carvalho JP, Guedes Soares C, “Decision making system for the collision avoidance of marine vessel navigation based on COLREGs rules and regulations,” Proceedings of 13th congress of international maritime association of Mediterranean, Istanbul, Turkey, pp 1121–1128, 2009. Hasegawa K, “Advanced marine traffic automation and management system for congested waterways and coastal areas,” Proceedings of international conference in ocean engineering (ICOE2009), Chennai, India, pp 1–10, 2009. Abstract: The continuous demand for improved and efficient health and safety management have put pressure to construction project managers, thereby creating a lot of management challenges that require an integrated process to be tackled. Hence, this research sought to assess the impact of health and safety management on construction projects success in Nairobi County. A survey to investigate health and safety management factors was delimited to 45 on-going commercial/ mixed urban development projects each worth more than Kshs100 million in Westlands constituency, Nairobi County. Owing to the fact that the population was reasonably small, a census was deemed suitable for this study. The survey achieved 80% rate of return of questionnaires from the construction project managers and data analysis was carried out using both descriptive and inferential (through correlation analysis) statistical methods. Results from the study were presented in form of tables and figures in a comprehensive manner. The findings indicated that, there is no well-defined site management system in the Kenyan construction industry and most sites are run through intuition and processes that involves a lot of paper work (checklists). This study therefore, recommends use of Oracle prime Projects Cloud Service, radio frequency identification device (RFID) technology, drones and Autodesk Navisworks software in construction health and safety management. Keywords: Construction Health and Safety Management, Project Success. Cheng & Li. (2004). Construction safety management: an exploratory study from China. Construction Innovation, Pp. 229–241. Mugenda & Mugenda. (2003). Research Methods: Qualitative and Quantitative Approach. Nairobi, Kenya: Acts Press. Muir, B. (2005). Challenges facing today’s construction manager. Newark, Delaware: University of Delaware. Muiruri and Mulinge. (2014). Health and safety management on construction projects sites in Kenya: A case study of construction projects in Nairobi County. FIG Congress, (p. 14). Kuala Lumpur, Malaysia. Nyabioge et al. (2018). Construction site management and its influence on project implementation in Nairobi County. 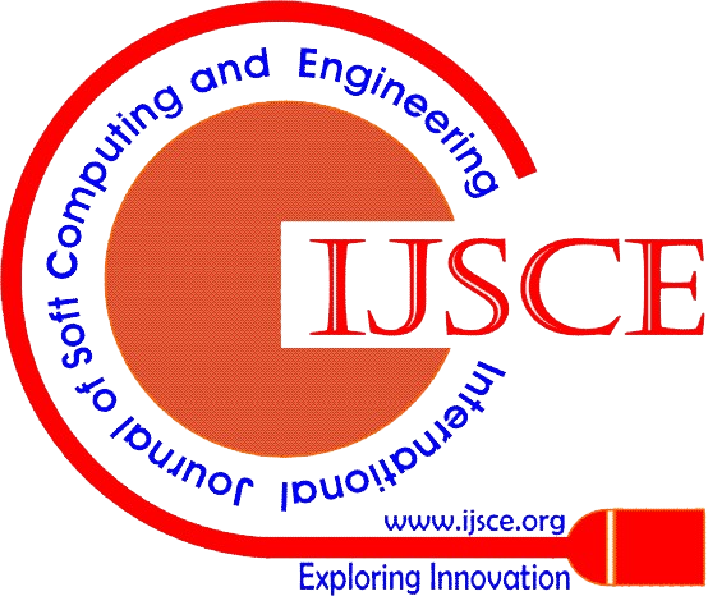 International Journal of Soft Computing and Engineering (IJSCE), Volume-8 Issue-2, Pp. 7-12. Spillane et al. (2012). Confined site construction: An empirical analysis of factors impacting health and safety management. 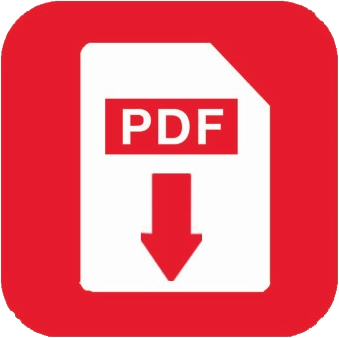 Journal of Engineering, Design and Technology, Vol. 10 No. 3, Pp. 397-420.